First, let me start of by saying that I am not an investor of Hyflux, nor am I part of their staff. That being said, I don’t think what the government plans to do to them is fair or right. Basic principles. You want something, you pay for it. You don’t just take it be force. If I were to go and take something that doesn’t belong to me, I’m going to get arrested for sure! Yet for some, the same rules don’t apply. Wasn’t there a term used to describe people who could just take whatever they want without consequences? Sure, you can claim that Tuasprings is a negative asset, and it’s actually losing money. Yet you want to acquire it FOR FREE, and you don’t want to take the debts that come along with this asset! This is the equivalence of having your cake, eating your cake, and make someone else pay for your bloody cake! Just because you claim that this is a matter of national interests, does it mean you can do whatever you want? Can I claim that eating is a matter of survival for me, so I should get free food without paying for it? Wah! So good siah! Take things don’t need to pay one! I am tempted to agree with the writer. If we dismantle the plant, the scrap metal should also be worth something right? In theory the plant and all its assets should rightfully belong to its creditors, dio bo? How can anyhow come in and take one? Caveat: I am merely stating an opinion, not a matter of fact. What to do? The contract says if the cake is not cheap, big and nice, the sole customer can take over the cake shop! You can blame the cake shop owner for signing this d**honourable contract, and blame the cake shop owner also for not telling her new investors about this d**honourable contract. As neutral observers, we are just shocked to see such a d**honourable contract. We do NOT benefit either way. Great article. Really sympathize with the investors. But what to do. PUB is just following the Great example of their Di$honourable LEEder. Top beam crooked, bottom beam SURE goes slanting. It’s NATURAL INSTINCT adopted by the respective Coverment agencies, in this case, PUB! When SHTF, everyone and everybody would RESORT to Di$honourable ACTION, even in Parliament! Holee $moke! That is why the Old Hack said he will send in the army. Same theory. Based on national interests or par son na interests? this was the way then, its the same now and will be so, till sgs VTO! same thing with our cpf monies etc..
all they know is how to grab n grab ..
their grubby hands knows no bounds. The reasons for creating and maintaining fake companies like Hyflux is to make locals and foreigners believe these are worth investing. This is not an isolated case. All government assets are cooked to show profits that do not exist. The salaries of the top few are based on this. What happens to you and me is irrelevant. We can lose all our assets and livelihood – they will find a way to make it look like our fault. Hyflux is the tip of a giant financial iceberg. $G is like the Titanic – “unsinkable” the designers said. But nobody told the iceberg….. IT IS LIKE THE LAND you paid for in public housing. You paid for it, Ah Kong has the title and legal ownership, your title deed, merely a transfer document in advice, says you are the TENANT/lessee of the land!! 34000 investors’ blood money. A number of them are retirees and once their money gone, their lifeline money also gone forever. AND AFTER CHONGKONG YOUR LAND, Ah Lian still lecture you peasants as SI QUI KIA Ah Sengs. water lar (strategic & most essential resource of life right) ? else how to boast (& can still make plenty of 151th standard noise in the mainstream media to exude pride) about water sustainability. cannot lose face to our northern neighbour lar (water agreement got quarrel right ?). hopefully, water rate will not increase further for the white idiots to encourage good wholesome campaign to save water and the white gang to spin further wayang. white monkey idiots should have plenty of plans for 10m population (this will help to save even more water ???). Caveat : also merely stating an opinion lar, not a matter of fact. the white idiots are really something, now must put caveat to tell people people that it is an opinion. Sake yan, mm lare Kuat (Cantonese) this is swallowing bones and all. If I am PUB, I will let Hylux pay me the debt and let them tear down and scrap the plant. Let’s see how much the investors will get! to be in serious financial management trouble to resort to such tyrannical actions. The details of how $28 m were spent on PAP self glorifying claim of hosting its ‘historic meeting’ meaning positive n not what it has turned out after that meeting should be published. With the approval of Casino operation in Singapore, PAP Govt was publicly coerced to set up Help Centre for Citizen Gambler. The morality based resistance to casino operation held steadfastly before PAP was convinced by … of its being sa good source of public income legalize Casino operation. LKY was so delighted financially to blind him from the ill effects on family that he publicly said that he would have brought in the Casino earlier. Eventually the social impact worsens n it pressurized PAP to mount the counseling service. Greed surmounts evils that come with it should be the cautionary tenet of governance. Greed prevails n persists with PAP even since it secure total control of the Parliament that led to GCT’s bold motion self gratifying himself n his Cabinet ministers with Multimillions paycheck not including the additional benefits in medical n dental, bonuses n term retirement pension plus appointments to government companies including those publicly listed in SGX n Elsewhere (?). This follows drastic changes of the Constitution publicly n internationally perceived to be self serving n violating the basic tenets of democracy which LKY responding to queries of foreign journalist to be ‘modified democracy’ before the well known near perfect PAP wins in PAP ministers libel suit against political opposition n citizens as speculation increases on what could have happened on matter which PAP operates in semi or full opacity which remain status quo even after winning the speculative libel suit. This leads inevitably to avoidance of accountability n taichi responsibility phenomena. If Malaysia for whatever reason could not supply the Johor water to Singapore, is angry citizen going to do nothing and accept water rationing drinking 50% of water he or she used to drink every day? Of course, he can say continue to drink the same amount of water, flush the toilet, bath, there are many ways to save water or get water elsewhere (ship in free iceberg from North Pole) or just pay Malaysia more for the raw water (Singapore is so rich and Singaporeans are already paying so much for our water at $1.21/m3, what is another dollar). Malaysians deserve a higher price, their PM is getting less than 1/10 of LHL’s annual salary. Their former PM Najib may even have to go to jail. 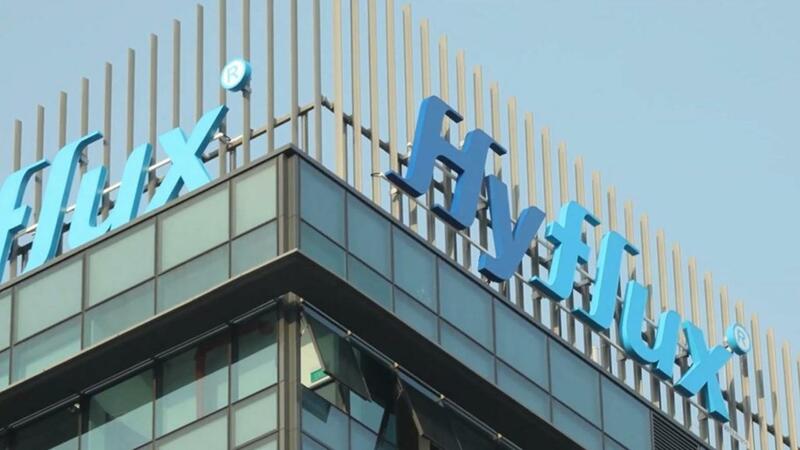 PUB is obliged to pay 70 million gallon daily at about $0.50/m3 to Hyflux and Hyflux cannot produce that amount, forget about it, let Hyflux sell its plant as scraps? What if other water plant, genco and government department default? The right thing to do is to sue Hyflux for damages and take over, in this case Hyflux water plant and produce the 70 million gallon daily, bill Hyflux if PUB’s operting cost exceed the 70 million gallon agreed price (dont forget PUB has to spend money to make good the plant in order to produce 70 million gallon daily that Hyflux could not even produce). PUB is not going to take over Hyflux power plant that is outside the water agreement, and Hyflux can dismantle it and sell as scraps or do whatever it wants to do with it. If angry citizen is a Singaporean above 21 year old (and saving for his retirement), and still feel PUB is in the wrong, vote against PAP which appoints PUB’s CEO and Board Members, then maybe he can see a change that he is hoping. Greed promotes boolicking n polanpaing which essentially corrupt the moral fibre in human n professionalism lapses into gangsterism. Self gratification n self glorification follows. LKY proclaimation that anyone opposes him or his policies is his enemy n would be relentlessly dealt with as evidenced by his many libel suits which led to bankruptcy of his enemies. Such events speak all. The present stage seemingly legalized robbery is natural follows up. It could be worse as the absolute power if used pro interests n benefits of the nation n her citizens is fantastic but when it is contaminated with greed n egoism the effects r what r happening on the island now. The decision to stem out greed in politburo n bureaucracy is in the hand of the voter as democracy still prevails n if not properly exercise, the modified democracy will eventually ends up in bold declaration of Dynasty, Nepotism, Dictatorship. Refrets will be too late. Mr Lee Hsien Yang n Ms Dr Lee Wei Ling have warned with inside information undoubtedly. This should be seriously considered if they still want to have a voice guaranteed in the country n not to walk in fear not of the citizen but of the power. What r said in the above article n in the article on CPE Medishield matter were not so explicitly reported by ST or any s approved media, hence the matter of truth n fake is inquestion. Would PAP Govt care to verify lest the dft Singaporeans would be slammed to believe what were put up n circulated. What about the bashing of an elderly by a grassroot leader over his precious puppy relative to the precious (re to the daft resident) while pariah (re pap grassroot leader)? Is the report by the non pap approved so called alternate media but not reported in the mainstream media true or fake? If it is true, Mr PM would be delighted as his advocation of citizens to be hungrier, greedier n more aggressive than the imported alien as tools of survival in this tiny island has at least been well heeded by PAPists round down to the grass level. (a) All members of govt agency r filled with citizens beholden to PAP n the higher the position the more is the degree of beholdenness. How true is this? If it is true isn’t this violate the Constitutional rights of a citizen to serve his community without having to qualify the beholden criteria? If this is true, isn’t the duty of the public institution to take legal action? Isn’t that what Constitutionally guaranteed independent regulatory institution r there to curb such abuses? (b) Are the grassroot organization including CC, CCC etc are there to provide extra care n help to the MP of the Constituency in the interests of the constituents n they r financially supported by State Funds or national institutions not beholdened to any political party? If that is true why was there relunctance of these grassroots organization to cooperate with MPs in opposition ward working for the common good of the constituents? It means therefore if PAP wants to continue its link with the constituents, it will be party interests n party business n should by financed by PAP or whatever Party with such interests? If all these r true, why the public regulatory institutions not taking an active role? (c) It was commonly perceived by the citizenry that goodies r handed out timed generally when the General Election is near n that these state funded goodies r used to advance the interest n election chances of the Ruling Party. Why were the goodies spread all thru the term.? Could PAP verify the truth of such perception n why only pre election goodies.? Why the public institutions do not actively do the jobs as constitutionally demanded? MILLIONS OF SGS HAVE THEIR CPF KENA CHONG KONG OREDY??? STILL 70 CT THINKS THESE CROOK$ ARE GOOD LEADER$? What about gst…….free no gst? Singaporeans, you get what you accept! Period! You put the people who lord over you in power, and by an overwhelming margin. Father said import foreigners to kick daft sinkies backside to jock him? Jock him for what. prinsy son now emperor said. u want a job, be hungrier, greedier n more aggressive than the foreigners so that u can steal the job from him. So the truth but depending on minister, is father imported hungry, greedy n aggressive aliens to rob u first so u can be kicked to awareness to become more hungry more greedy n more aggressive to get it back. All science students r familiar with deduction. The conclusion is that PAP r most hungry, most greedy n most aggressive because they can save their job n do not have to steal them from the aliens. So what they r doing to your hyflux investment n cpf r what they have warn u. So how to steal back, your only weapon that would be over their most is your vote at general election. So if u dont like it like the son told you u steal back usung you most n that is your vote. This has also been the father challenge. if u dont like it ur his enemies n he would deal with u relentlessly like suing you until you drop your pants or bankruptcy; For this Kennet n Phillip Jeyaratnam know best. Kennet still dogs on while Philips is wiser flow with the current n be merry! Right or wrong, each has the democratic right even gorilla gripped emperor has no say! the Jeyas have both worlds n r still in good terms, smart cookies. Jeya must be laughing aloud at his old friend at the aftermath. Back to aggressiveness, Indrani spurned at loyal n patroitic netizen Singaporeans for verbally shiting on her beloved alien sportcar millionaire who insulted public transport n aggressively traitorously badmouthed our nation integrity n unity Singaporean netizens as a pack of lynchers so much so some citizens advised her to walk in the back lane of Toronto to experience if she is lucky the real lynchers! Your PAP named possible Lee replacer brerrachan stupidus sin so aggressively showing he is already taken over lee empire and farting like son gorilla that he has no problem to import more foreigner to displace Sinkies from their jobs like the pmets n he did as some netizens lamented that increasing Sin pmets r retrenched. Ss this is aggressiveness. Even the grassroot leader appreciated the advice n bashed up his elderly constituent over his puppy to show u what it meant by not comparable to pigs n dogs. Now fake n real news. Ministers r given the power of aggression over your comments in alernate media what r not reported im main media! It seems now drop out, gangsters, thief aka greed n aggressiveness r official human values over kindness, graciousness n get what u reap as oppose to demand over dreamed entitlement like overnite millionaires with shits n shitting performace n brain! This is called robbery in broad daylight. Even for waste steel, there is 30% metal nails to be extracted and sold. Only PAP Govt could do this kind of despicable act. Govt could bail out UBS, Bharti, all foreign entities, with 10b in UBS, 4 billions in Bharti, can’t do bail out for local Co Hyflux. Why, the moon abroad more bright and beautiful. Hyflux kenna fixed by the chao papaya husband and wife just like the husband say he like to spend fixing people. Who ask sgs so daft give them all the mighty power to fix you and everything in SG. The only reason Tuaspring is a “negative asset” is the onerous (stupid) agreement Hyflux signed with PUB. The desalination plant is worth hundreds of millions. If it is really worth zero, then PUB would acquire it for nothing and sold it for scrap metal. But it isn’t. It plans to operate the plant to produce fresh water for sale. VTO? No. Doing that is showing mercy. Traitors deserve better than the chance at living among us, or anywhere else for that matter.